One of the more petite pieces in the collection, this piece was inspired by the work of French deco master Emile-Jacques Ruhlmann. 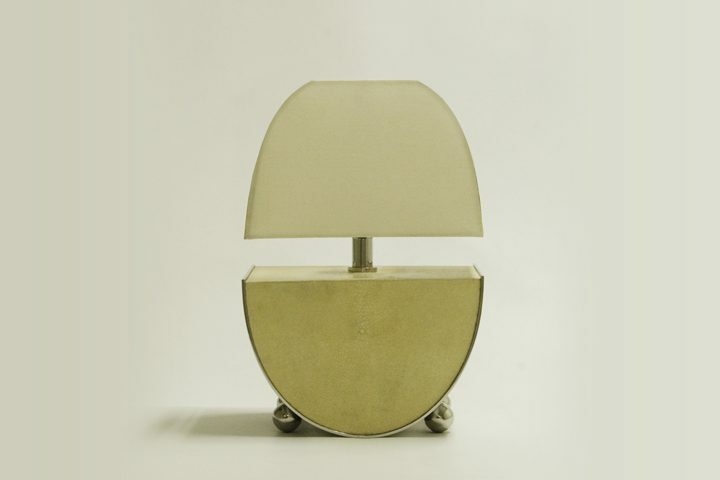 The piece is crafted in stainless steel paired with the traditional deco-era shagreen, or stingray skin. Bringing the piece into line with modern standards, our shagreen is a byproduct of the meat industry in Asia, meaning that no stingrays are culled purely for their skins.